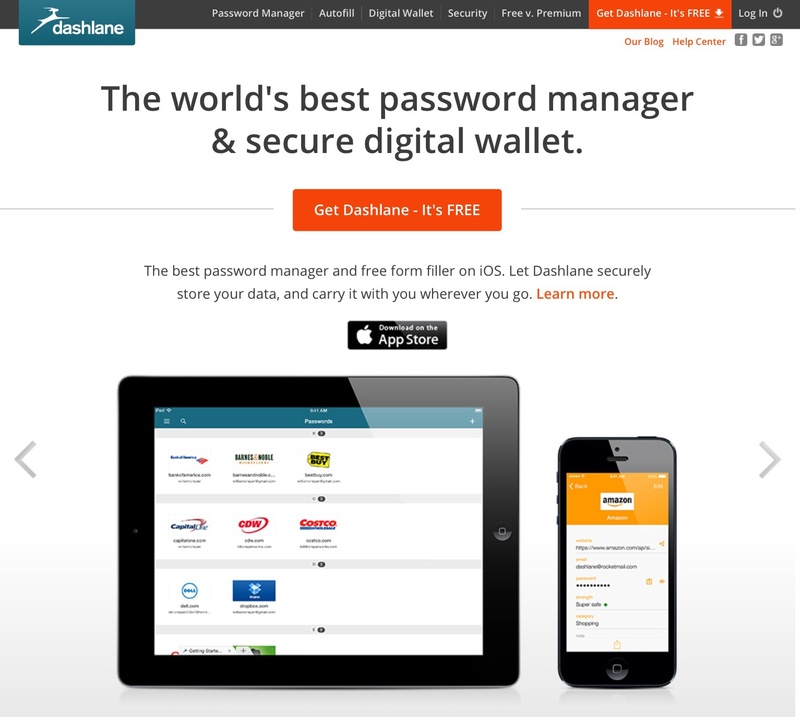 Dashlane released another large update…Dashlane 5. The app has gone downhill for ios users a lot since all the problems they experienced in ios 9. Dashlane has taken away Feature after Feature…leaving just an empty shell of their former App, My take is they are trying to hard to bring on board all platforms as well as begin an Enterprise business which they are concentrating all their efforts on leaving their original customer base…ios users behind. The app works well for simply storing passwords…just as well as Apple’s free key chain utility does. It does very little beyond that except store secure notes and allow the sharing of passwords. Finally those iOS 9 Phone users who were unable to open the app will be able to again! Not only that but the whole app has been redesigned and it’s really well designed in my very quick testing so far. I’ll add more later…but for now, they’ve introduced a new feature for ios which allows Dashlane to enter passwords more readily from right within many apps. This function was sort-of available before. You could copy a password within the Dashlane app and then it would open the appropriate app for you to paste it in. But this is much different and much better! It’s similar to the Android app that provides a little Dashlane Impala icon right within connected apps, that, if you tap on, it will enter your credentials from right there…there’s no need to open the Dashlane app at all! It’s a huge improvement for ios users! Here’s a little video Dashlane put together to show off the new design. Here’s more information about the new and improved Dashlane 4. A few days ago I received an alert from Dashlane notifying me that Time Warner Cable had encountered a security breach of their user accounts. I’m a ‘less than enthusiastic’ user of Timer Warner’s antiquated email system…the one that doesn’t yet use SSL or even knows what 2 Step verification is…so I appreciated their notification. Upon investigating further, I’m even more appreciative since the Time Warner rep I chatted with seemed to not take the breach very seriously because…”it didn’t occur on their own servers!” According to a recent Reuter’s article, Time Warner was notifying customers of the breach…but I’m a customer and I never received anything, so it’s doubtful I think. I just spent several hours accessing and changing passwords for several email accounts that I’d just as soon close…but other family members make that difficult right now. So, while it’s all fresh in my mind I thought I’d just review some of the areas that Dashlane excels in. The ability to instantaneously share password credentials and secure notes is a huge time saver for my family…this is especially great because I don’t even need to go to my emails to search for the shared credentials…they just show up as a message in Dashlane. There’s much to love with Dashlane…which sort of ironically, sets quite a high bar for future expectations. I’m betting they’ll succeed…but the company does need to address their deficiencies as well…every company has them! 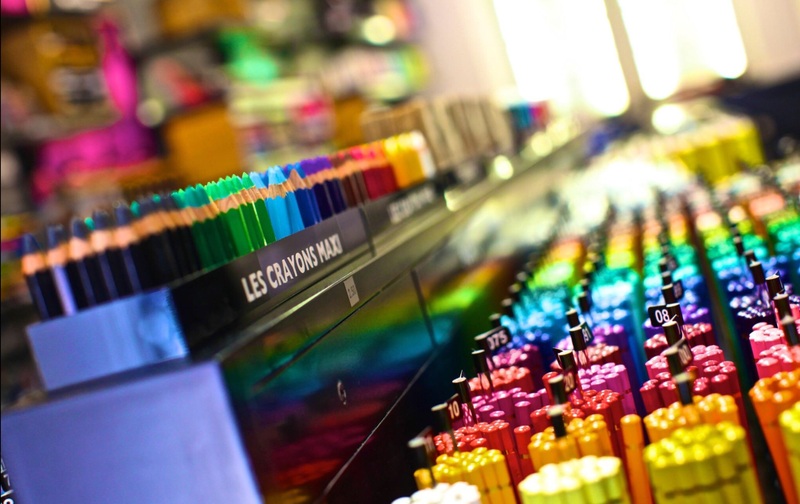 To do anything less would surely disappoint many, many fans and customers! Is Dashlane Growing Too Fast? That’s my take on the most recent Customer Service problems I’ve experienced along with many other ios users. To get a sense of what I’m referring to just go to Apple’s App Store for ios and sort reviews by ‘Most Critical’…you’ll find a lot of complaints especially about Customer Service issues. I suspect the problems are primarily due to growing pains. Dashlane’s core business…that of providing a great cross-platform password manager seems to be suffering while the company forges ahead on many more exciting & possibly lucrative fronts. There’s no doubt that the Dashlane team can develop great, innovative apps, but I fear this compelling need to release cutting edge advances is hurting their core business which is and always should remain, a robust password management system combined with unparalleled customer support. This is precisely the foundation upon which Dashlane’s success was built. Yet it’s also proving to be the biggest chink in this startup’s armour too. It won’t come as a surprise to my most loyal readers that I’m perhaps one of Dashlane’s biggest fans and one of their most vocal supporters. Almost all of my friends and family members (well, at least the ones who actually listen to me) now rely upon Dashlane. Which is why their current troubles worry me so…I feel that I’ve got a lot riding on this outcome. Customer Service support is at best inconsistent right now…at worst it’s counter productive and maddening. The iPhone app for ios 9 isn’t working properly…I discovered this when I got the 6s 2 days before we left on an extended trip lasting almost a month. For most of that time I had no Internet connection at all…so using Dashlane wasn’t necessary…in fact, very few of my apps even fully installed from iCloud. My new phone was pretty useless…even for actual phone calls on that trip because we had no cell service either. Upon arrival home I barely used it and then we left again for a week, came home for 2 and then left again for 2 more weeks over the holidays. The ‘holiday trip’ was when I finally figured out that I wasn’t able to use Dashlane at all…I couldn’t even sign in to it. Recently I received several really helpful emails from a Dashlane Customer support team leader. They addressed my iPhone problems and we’re very much appreciated. They were also completely unexpected because I never bothered contacting support with my problem. The reason I never contacted support about my most current problem was because I’d done so very recently regarding a different problem. Despite several long emails on my part I received no satisfactory help or explanation. This was my 2nd frustrating experience, so I just gave up on Dashlane’s support. Those 2 events explain in part why I was so surprised when, out of the blue, I received 2 extremely helpful emails from someone who seemed to be a team leader to me. He had sought out my contact info after reading my ‘down-graded’ review in the App Store.. And probably my Tweet sharing an earlier, more negative version of this post too. Dashlane is aware of the broken iPhone app and they are working hard to fix it. They’ve released a temporary fix users can install to ‘get them by’ until the actual fix is released in the apps next big update. I mistakenly mixed up 2 earlier problems in my memory which led to some of my own personal frustrations. In retrospect, those problems were slightly less annoying than I remembered them to be. Using either the iPad or iPhone apps Dashlane lost the ability to save & store purchase receipts. Early on the app did this but it no longer does. I use a lot of different iPads during the day…the counts for passwords and secure notes didn’t match up. Another great feature that Dashlane remove for ios users is the ability to video a password’s history. This loss has is a serious one for ios Users. The ios app has this annoying propensity to always revert to obscure passwords which include primarily symbols. These kinds of passwords aren’t permitted by most websites and often there’s no way to tweak Dashlane settings so I’m forced to manually create passwords which kind of defeats the purpose. My main goal in writing this update is to tell my readers about the fact that Dashlane is experiencing some growing pains right now. I was initially very concerned and considered removing my recommendation entirely. But in light of their efforts to address my concerns, especially when I didn’t even solicit them, I’ve decided to keep my recommendation for now, and hope that the Dashlane team manages to correct these current shortcomings. ios 8.1 went live on Monday, October 20th, 2014. Dashlane released an ios 8 update when ios 8 was initially launched, but some users had problems with it. The problems have been resolved and the ios 8 version currently in the app store was launched officially the day after 8.1, which tells me this newest version is robust for ios 8.1. I believe there may have been problems for users who were on ios 6, during the year that ios 7 was predominant. There was a separate app for ios 6. I don’t find any information at Dashlane’s website about that anymore, so I suspect that’s resolved too. When you go to the app store, your ios version should be detected automatically, and the correct version should be installed. But just in case I’m missing something this is a link to Dashlane’s Version history for ios, with notes and some additional hotlinks. I’m still in the process of updating all of my passwords following HeartBleed, (which was the main reason I began using Dashlane to begin with), and I just discovered a great new feature for ios! 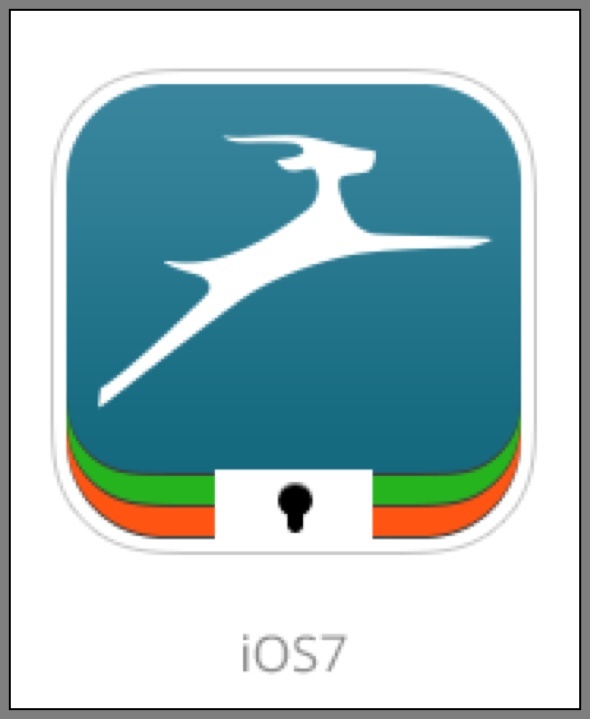 Dashlane has begun offering ‘open in app’ use on ios. What does this mean? Well, I have Dropbox, and use the ios app for it. I was signing into the Dropbox app and needed to open the Dashlane app to copy/paste my password. But I was surprised to see that rather than having to copy and paste the password (which is really the only way to effectively work with my new long & complicated passwords) Dashlane gave me the option to open the Dropbox app and it entered the password for me automatically! It was cool to be able to skip a few steps!!! While this feature has been available on Android for a while, I’m thrilled that it’s now available for ios as well! I’m writing this for my friends, family and followers, which is why there may be some gaps in the thought processes. I’m attempting to address their unique situations and provide some background foundation of concepts where I know some confusion exists. 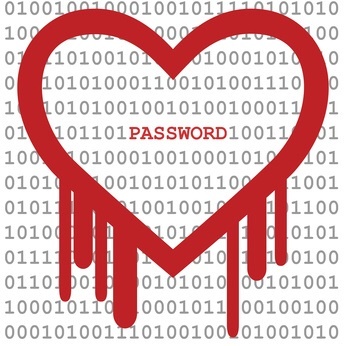 I’ve been using the free version of LastPass for about a year and a half now, and I was in the process of deciding to switch to a password manager completely…I mean to really commit to it, by allowing it to create secure passwords for me…when Heart Bleed hit the news. This escalated my time horizon, and after quite a bit more deliberation and research I decided instead to use Dashlane. Dashlane is a young start-up compared to LastPass. Both companies provide extremely good alternatives to securing passwords. LastPass was one of the first (the name LastPass is a play on words referring to the fact that this will be the last password you’ll ever need to remember). So, as LastPass’s name suggests, the goal of a password manager is to provide a means of managing passwords securely, but simply, through one password. Dashlane joined the fray about 2 years ago, but they’ve grown substantially in that short time to over 2 million users. Why I Chose Dashlane The reason I ended up choosing Dashlane is because of my heavy usage of mobile devices. Both companies have apps for the primary mobile operating systems, but Dashlane’s received better user reviews for their ios version…which is my primary platform. In both cases (LastPass and Dashlane), the app provides a browser utility, which isn’t ideal, but necessary given Apple’s inflexibility to allow plugins to work with mobile Safari or to allow app developers to interface with it. It’s less clear to my why the mobile version of Chrome can’t utilize Dashlane directly…perhaps for the same reason. Regardless, the Android version of the app also requires the use of Dashlane’s browser. Mobile Browser Discussion The reason why a second browser isn’t ideal should be obvious…access to your bookmarks, bookmarklets and your stored user data for auto-completion are just a few. Recently Apple, with the launch of ios 7, began providing a much stronger password management utility for mobile use, the Apple Keychain utility. While an in-depth discussion of that utility is beyond the scope of this article, the main take away concepts should be that the Apple Keychain method for password management is good, but not readily exportable to non-Apple environments. So if you utilize any combination of operating systems on your main devices…i.e. Apple, Windows, or Android, you need something that works across all of them…a cross-platform answer. Two other browsers that are utilized heavily are Firefox and Opera. In a computer environment you can add plugins to your browser for many things…in this instance for Dashlane or LastPass. But on mobile devices plugins don’t really work. Which is why the password managers provide their own browsers. If you rely primarily on the browser of a mobile device, getting started with any password manager can be frustrating and appear to be more work than it’s worth. But if you follow the steps below, you’ll discover that this approach really streamlines the process and makes it a good, workable alternative. You will also need to link this account to a second email address for backup or ‘rescue’ purposes. Once the app is downloaded, you should create an account and write down your account information someplace secure. I recommend using the Premium version of Evernote, and creating a note containing this information which you encrypt on your computer (encryption can’t be accomplished in Evernote on a mobile device, but can be viewed). The account setup process utilizes a 2 factor authentication method, which is state of the art technology for securing logins to accounts. The second email address is used for this purpose. If you’re setting up Dashlane on a mobile device, you will also be asked to create a 4 digit numeric pin. Use of the pin is to make access to the app faster than entering the secure (and hopefully longer, more complex) master password. Download Dashlane on each device you use. I suggest downloading it on every device you have, since problems can always crop up with technology, and this assures you have better access to your passwords no matter what situation arises. I installed it on my cell phone, Desktop PC, laptop PC, convertible PC, iPads, and Nexus tablet. I still need to install it on my iMac, my husband’s PC and his mobile devices. Optional – Setup the unique features Dashlane offers for each device and platform type. After completing Steps 1 and 2 you’ve completed the main setup and can begin using Dashlane. The steps after 1 and 2 I’ve labelled as ‘Optional’ because these are things you will want to do at some point, but you can build up your data base and tweak your preferences slowly as you grow more accustomed to using the service. Optional – Import passwords from anywhere you currently may store them. Dashlane can automatically import them from other password managers and popular browsers like Chrome and Firefox. Optional – Enter some of your personal information in the app on any device you chose. If you add a credit card, you’ll be able to have Dashlane autofill your credit card information just like mobile Safari does now. Optional – If your interested, look at the main categories Dashlane uses to group your logons by default. You can add or edit these categories now, or later if you find that way of classifying things useful too you. There’s a similar categorization option for notes and receipts in the ios app. Optional – Using a computer and the Dashlane application, review your password database security. Note: There is a much faster, easier way to accomplish this using a computer, which I discuss further down in the Window’s section. However, I needed to do it from my iPad, and the steps aren’t as intimidating as they appear at first glance…I just try to be thorough! In Safari browse to the site, then to your account page, and login using Apple’s Keychain data. The auto-generation function for passwords in the Dashlane app is located on the right hand side of the screen towards the top of the screen, right next to the address bar. You get it to open by tapping on the little icon of a Palomino. Once the new password is saved, tap on the three horizontal lines on the top left hand side of the screen (the menu icon) to access the Password Manager. Once there, tap,on Passwords, and scroll to the letter of the alphabet the matches the websites name. Find the website’s Password card and tap on it to open it, then tap on the eye icon next to,the password to view it. Make sure this is the new password, then tap on clipboard to copy the password. Next look for any other password cards for,that site that may appear in the app. If you find one (you should because the old password should be stored there if you’ve imported your passwords into Dashlane). Delete this card so you don’t get confused in the future regarding which password is actually the correct on now. Then close Dashlane, open Safari, and got to the website again and login. Instead of allowing Safari to auto-add your password for you, type in your email address and tap and long press in the password field to paste the new password in. If the Apple Keychain message pops up asking you to change the password that’s stored because it’s different, tap yes. Using Dashlane – Windows There are two ways to interact with Dashlane. The first is within the application, which can be downloaded from the link above. In my case, the app shows up on my main home screen of my desktop PC. I’ve got it running in background and starting up with the system starts. The main application is pinned to the bottom task bar so I can pull it up quickly if I want to lookup a login or password. Maybe once I’ve cleaned up my database of passwords I’ll remove it from the task bar, and just use it with in Firefox, my preferred browser. The second way is in a browser. Once you’ve installed Dashlane on your computer, go into the application and look in the upper left hand corner for ‘Tools‘, and select the menu item for your main browser then download the plugin for Dashlane. If you use several browsers do this for each one. 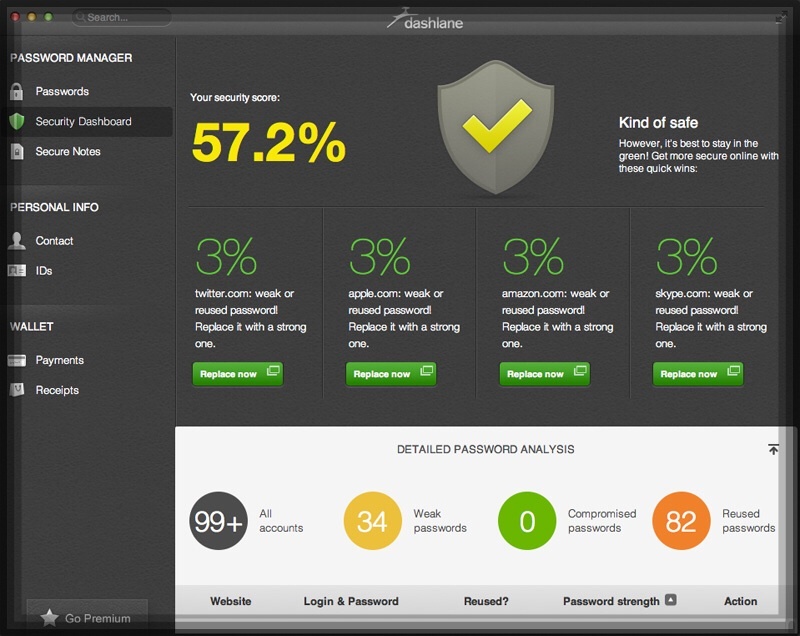 A Great Desktop Feature There is a great feature Dashlane offers to review the security of all your saved passwords. If you’ve been using browsers or other online methods to store passwords, you can import many of those into Dashlane. Once you have your database of passwords within Dashlane you get some great tools for reviewing, managing and updating them. This feature is currently on available on computers however. The link below will take you to a good article and video on how to use this feature. Using Dashlane – Android I’ve not really used it much on Android…really just tested it out for this article. But the basic workflow is similar to ios. See further down for a little more about the Android version. Similarities In both mobile versions of Dashlane, you are required to use Dashlane’s proprietary browser. In both you can setup a 4 digit numeric PIN so you’re not always required to enter your longer master password. You can keep notes in each as well as use the app to automatically fill in forms online with your personal data. You can use your stored credit card information for purchases, and have Dashlane generate new secure passwords for existing and new accounts, as well as lookup passwords and logins. Android: In spite of the similarities, the differences are really pretty significant. The Android app suggests you replace Chrome with the Dashlane browser as your default. While I haven’t done this, it’s a feasible idea because the browser allows tabs, bookmarking, and you can use a desktop computer to import all of your Chrome passwords into Dashlane. One thing I’m not sure of is if you can actually import your Chrome bookmarks. ios: The ios app has no bookmark capability currently, although Dashlane tells me they are working on adding this. How they get around this is by offering a bookmarklet that you install in Safari…it’s a little tricky the first time…but once you’ve done this it’s easy to do for future bookmarklets such as Evernote’s web clipper. I use about 12 bookmarklets currently, and the installation of one basically involves creating a ‘dummy’ bookmark, but using the actual name of the bookmark you intend. Then copy and pasting some java code into the URL address box to replace the actual URL that was created by default when you made the ‘dummy’ bookmark. While visiting a website in Safari that you need Dashlane for, you just tap on the bookmarklet, and it opens the site in the Dashlane browser. From there you can edit or create a password using their features. Both: One more thing about both apps is that your data base of user logins does create a sort of bookmark database, in that each record includes a link to the website the login if for. So you do have bookmarks for the sites you have accounts on. Receipts for Purchases The ios app allows you to create a database that stores receipts for all of your purchases…which is kind of neat if you remember to use Dashlane’s browser instead of Safari. Actually, Dashlane updated the ios app and took this as well as several other features away. So now the 2 platforms are more similar than different. Other App Signins The Android app allows you to link Dashlane to all of your other Android apps on that device, and to use Dashlane for management of these signins as well. The ios version doesn’t have this. Please scroll way down to the bottom of the page to find the comment box.